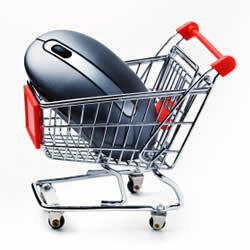 There seems to be a feeling at the moment that online shopping has revolutionised peoples lives, and perhaps it has. One fact remains, however – savvy consumers have been having their essential groceries and fresh foods delivered to their door each day for years! Long before the first computer whirred into life, milkmen cheerfully clanked their bottles, delivering not just milk, but also bread, cheese, fruit juice and much more to their grateful customers. Some people simply like to have fresh produce each day – some may be elderly and infirm, regardless, the cheery milkman has brightened the day of many people’s lives, and will continue to do so for many years to come. If you’re lucky enough to be the proud owner of the latest iPad or 3g mobile super device, then you can order a regular delivery by simply contacting us – if you don’t have the latest tech, don’t worry, a simple phone call to 0161 483 5055 has the old-fashioned advantage of letting you speak to a human being. A bit like having that nice milkman calling in fact!